Open Air Photo Booth, Traditional Photo Booth or the Magic Mirror Selfie Booth or pod – the choice is yours! 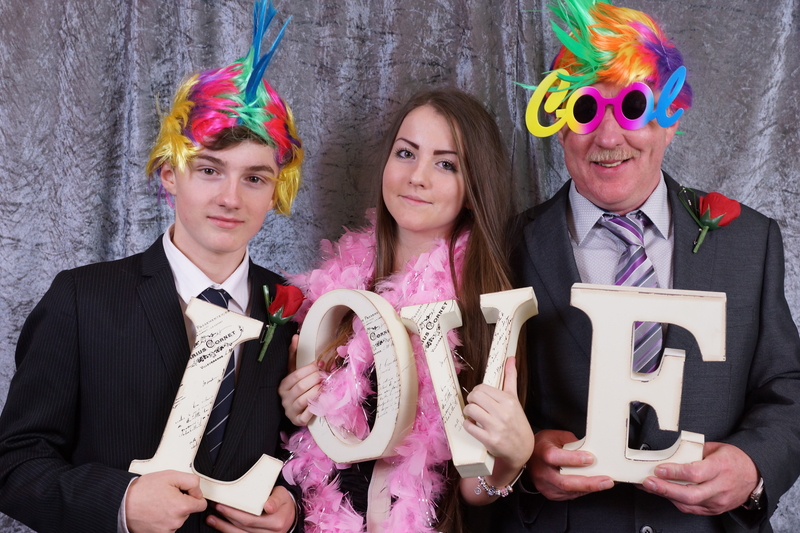 Photo booths really are a fantastic option for any wedding as not only do they allow you to obtain some hugely memorable (and entertaining) photos from your big day but they also give your guests the opportunity to add to the occasion. Photo booths allow guests to have some time to themselves away from the celebrations and often, after a few drinks, guests can be in the mood to create photos that you’ll cherish for the rest of your lives as a married couple. Your guests will have fun creating them and you’ll certainly have a fun looking at them after the event as usually, there’s some pretty crazy photos. You’ll get unlimited prints, which can be double prints as well, props, staffed, a guest book for the 2nd print (if booked) and a digital copy of the prints for you to keep as a keepsake. Then you have your choice of booths to decide from. 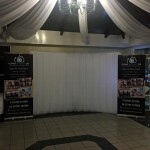 We call it an open air photo booth, but it’s more of a backdrop, with an actual professional photographer taking pictures, having fun as they go along, getting great poses, resulting in everyone having fun. You get plenty of topical and original props, and your photographer will get the best poses, and make everyone look fantastic! The prints are unlimited, so your guests take a copy home, and you get a copy which we stick in your guestbook. As we use a backdrop, you can fit more people into the picture as well, which is a bonus. All photos are printed instantly, use a top of the range dye sub printer.! 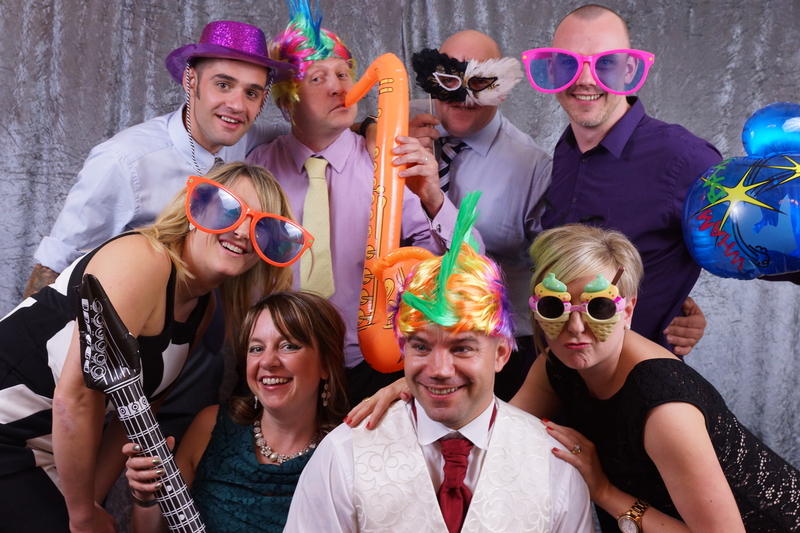 Enquire now about our party photobooth rental based in Lancashire. We can also do this without the props if required. The traditional photo booth, is what is says, a traditional photo booth. Guests enter the photo booth, position themselves accordingly, choose between colour or black and white pictures and press the start button, after a short delay to compose yourself 4 photos are taken a few seconds apart, highest quality dye sublimation photos are printed and dispensed in seconds.We can also provide a kids photobooth, with props appropriate for their age! The magic selfie mirror, is just that, a magic selfie mirror. ! This is state of the art technology, and is an amazing product. Book it and see for yourself!!! You even sign your photos at the end! Amazing for teenage parties, as well as wedding, birthdays corporate team building events, or any event. This service can be combined with the guestbook photography, keyring photography, or on it’s own. We can also do this as a ‘pay as you go’ or a pre sold package. We are very flexible to give you the service you require! on the day. This is very popular at weddings, school discos / proms, birthdays, leaving parties and other celebrations. The portrait service is similar, but with 7″ x 5″ photos being printed and mounted in frames. The keyrings are very popular as wedding favours and both services can be combined if required. A personal guestbook is a perfect way to look back on the evening’s events, in years to come. A photographer will take photos of your guests, for your guestbook. The pictures are printed immediately and can then be stuck in your guestbook, with them leaving comments at the side of the picture. This ensures all your guests leave messages, and you get a picture of every guest at your wedding – it is a simply brilliant idea! We cover the North West UK including Warrington, St Helens, Wigan, Bolton, Leigh, Manchester, Salford, Stockport, Cheadle, Wilmslow, Northwich, Knutsford, Chester, Ellesmere Port, Runcorn, Liverpool, Widnes, Keswick, Penrith, or anywhere else.